The Lead The Way Fund is pleased to announce that, through the generosity of the TOBAY race organizers, we have secured slots at the 2012 TOBAY Triathlon on Sunday, August 26, 2012 at a discounted price of $50 per slot. 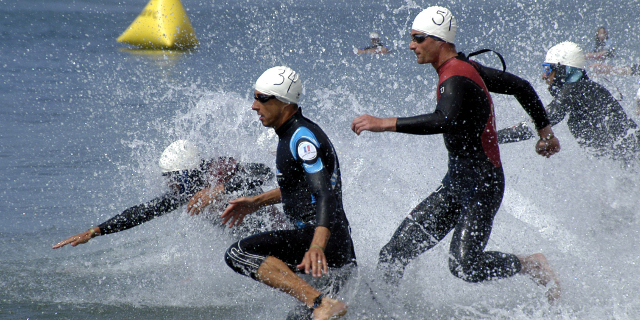 The TOBAY Triathlon consists of 1/2 mile swim, 15 k bike and a 5k run throughout Theodore Roosevelt Memorial Park, Oyster Bay, New York. The Lead The Way Fund will have have a tent at the race to further raise awareness for the work we do on behalf of our U.S. Army Rangers and their families. We hope you will come out and cheer for our racers! Can’t join us but have a friend or relative that you would like to support in their fundraising efforts for the Tobay Triathalon? Please click on the link below to be directed to their individual fundraising pages. Bike: 15 kilometers (one loop), over hill & dale, through beautiful Oyster Bay, Laurel Hollow, and Cove Neck. Fairly hilly but with a 2.9 mile downhill to the finish!! Run: 5 kilometers through Mill Neck & Brookville, “up” to Planting Fields Arboretum & back “down” to Roosevelt Park.